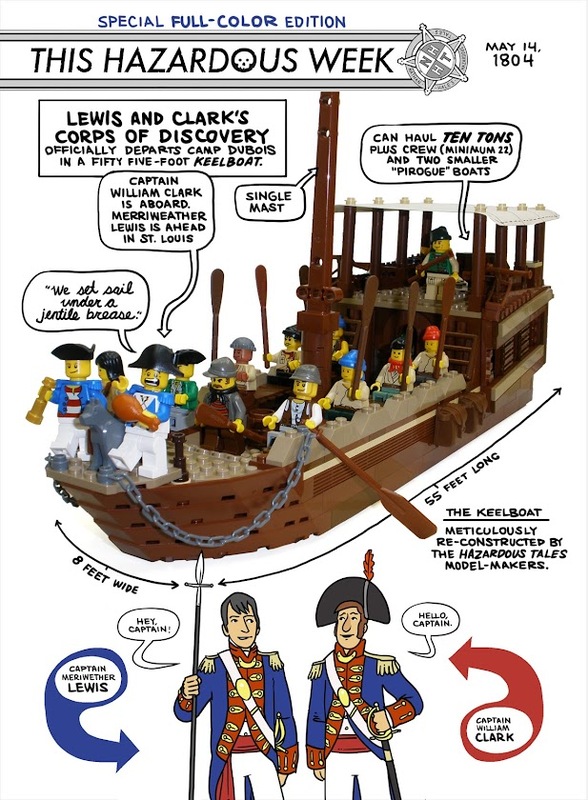 SPACE STATION NATHAN: Hazardous Monday: Lewis and Clark in COLOR! BTW, Captain Clark's "jentile brease" is not a typo on my part. Captain Clark was a creative speller in his journals. "Jentile brease" is an exact quote. ... Clark is like me: a creative speller! :) love your art, sir. OMIGOSH. I LOVE LEGOS. YOUR ART ROCKS, SIR.